Hi all! If you're like me, the concept of Content Curation can be a bit fuzzy. Or maybe you have no idea what it is and that's why you're here, reading this post out of curiosity. Before I hand over my blog to Kelly, though, I want to make sure you know what content creation is. Kelly explains it like this. Cultivating a collection of content based on the topics represented or the community it serves. It's basically sharing content that you find that is relevant and interesting to your audience. The benefits are many and it's fun. This is a guest post from my good friend (if I could choose a sister, she'd be it) and partner in creating Bold Breakthroughs at the Beach, Kelly McCausey. She also was one of my first mentors online and still makes the world a more awesome place every day. Kelly has a full course on using content curation to your advantage and has brought us a meaty taste of how it serves our content goals. I'm approaching curation in a few different ways but the core strategy I’m using involves curating a collection of market focused content on my site. If you're like me, you want to be THE source for your people. Curation is a Supplemental Content Strategy. I’m not interested in only pointing to what others say and I doubt that would be engaging for others. I generate unique content for my market. 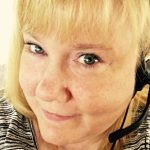 I write blog posts, record podcasts, and publish original learning resources based on my experience with business. My readers respect my curated content because they’ve grown to respect my overall unique opinions. My target market is made up of solopreneurs running online businesses and they're interested in content that helps them work smarter and be more profitable. They love outsourcing but they're not interested in building a staff. They love business tactics that lend more flexibility to their day and tend to move away from things that gobble up large amounts of time. They love user friendly tech, social media time savers and information that helps them better reach and establish relationships with their chosen markets. So that is just the sort of content I'm looking to curate on Solo Smarts. I monitor a large number of news sites, blogs, podcasts and social media, keeping an eye out for things that shout ‘solopreneur friendly' to me. My preference is to subscribe to as many RSS feeds as possible so that I can decide when to pay attention to them. If that’s not at all available I will subscribe to an email list. When something grabs my attention and I know I’ll want to share it, I either bookmark it to curate later or jump straight on it – depending on how time sensitive it seems. Most of the time I'm following a simple curation strategy. Create a curation post on my blog, writing a brief original introduction that tells my reader why I'm sharing the info. Sometimes I pull a meaty text quote from the item and insert it into my curation post. I link back to the original source so that they can go explore it in full for themselves if they wish. This post for example has an attention getting quote in pulled out text. I don’t always quote something from the item I want to link to – if it’s not necessary to the sharing I’ll simply tell me readers why I think they’d like to check it out, like in this simple post. See how brief and to the point my curations are? There’s no need to write long introductions or explanations in most cases. Most Of Us Are Curating Already. By the end of the day, that post has drifted down the river of social media and it’s gone. Those who appreciated the find may or may not later remember that it was you who offered them the connection. With just a little more effort – I can take that find and turn it into fresh content and traffic for my site. I find that interesting post featuring a new useful WordPress plugin, grab a small quote, start a post on my site, add my own thoughts as to why a solopreneur will want to know about it and click publish. Now I post the link to the curated content on MY site to Facebook, Twitter, G+, LinkedIn, etc. I get the same likes, shares and thanks – but each person that clicks through to check it out has been exposed to MY brand along the way. They associate the find with ME because they’ve been on MY SITE. While there they can’t help but notice I have other great content for solopreneurs like them. Have I’ve Piqued Your Interest? Will you consider curating great content for your market? I hope so! Curation holds other great benefits for you, like getting exposure for you. Social Bookmarking sites with a strong topic focus like (BizSugar.com and Inbound.org for Business & Marketing content) are easy to submit to. List.ly is a fun way to co-create a curated list. Nicole and I recently recreated Lady Pens to be a curation community for women and we want you join us. Submit small portions of what you've created and link back to the original content on your website so our readers can enjoy it and connect with you. We have fun plans for the site, including a podcast that features the content that catches our eye. Well, that's my friend, Kelly. 🙂 I told you she is awesome! What do you think? Are you game for increasing your reach by curating? Questions? Comments? Let me have them. I read them all. 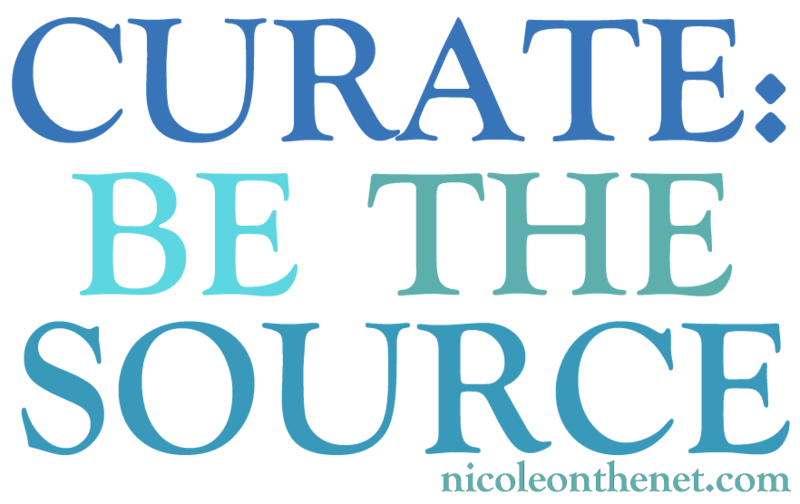 I took Kelly’s Curation Course – and it was a game changer for me. I’ve fallen off the wagon a little lately on curation; time to get back on. Awesome, Bo! 🙂 Good to see you here! Cool – LadyPens is now a curation site. Looking forward to joining you. I do curation by asking writers to guest post on my blog. That way I’m helping my audience in ways I couldn’t, since I don’t have their expertise. Also, I don’t have the time to be filling my blog all the time. I give them exposure, too. It’s a win-win. I love the idea of creating curated lists. That will be so helpful to my audience. Thank you for sharing this information. I am new at blogging, and I was searching for the solution. But finally I found it, and I love the idea and looking forward to join you. I have always been curating my content on some places without knowingly. I knew some about it, but it is much clear about it by reading your post. Its been a great experience after reading the post. All points are clearly described and i didn’t face any difficulty to adopt them. I really thankful to Nicole for sharing this awesome post. I have learned about curation today. I used to do this years ago, and overtime I just stopped. This is a great prompt to me to start again. Off to have a brainstorm now!